The Obama administration and Arizona may be at odds in their respective assessments of the border security threat posed by illegal immigrants. But there is much common ground in federal and state assessments of the threat that illegal drugs pose to border security, as well as extensive cooperation in common drug –fighting strategies. Indeed, federal criminal justice grants underwrite the anti-narcotics operations of the state government and local law enforcement agencies. There’s nothing new about this federal, state, local collaboration in the domestic war on drugs. In fact, what’s especially striking is just how old and static are the federally funded drug control strategies and programs in Arizona. What is new, however, is how the current alarm about border security is stimulating traditional drug war operations in Arizona. Anti-narcotics task forces at the local level are benefiting from new DOJ assistance and from the increased participation of federal agents deployed to the state in the name of border security. 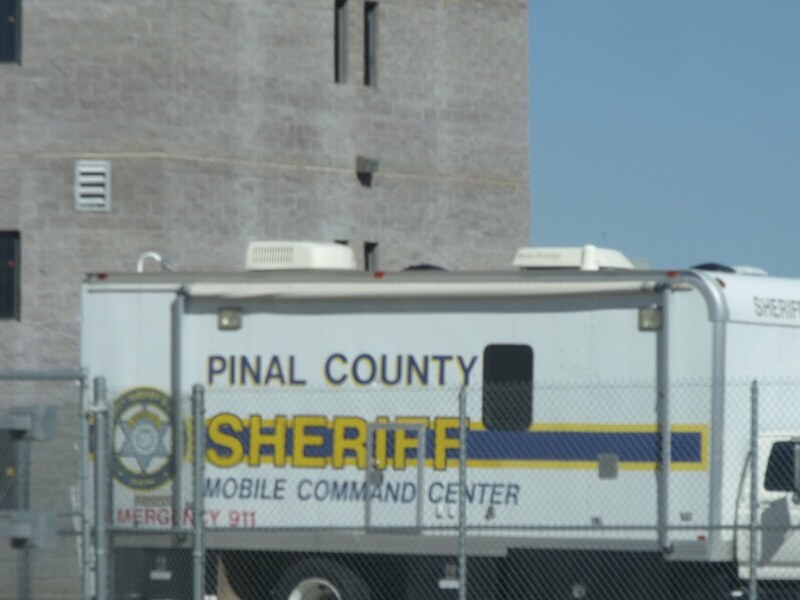 New sources of federal anti-narcotics funding are also spurring increases in drug-related forensics, arrests, prosecutions, and imprisonment in Arizona. The mission of ACJC is “To sustain and enhance the coordination, cohesiveness, productivity, and effectiveness of the criminal justice system in Arizona.” However, reading its new strategy statement, one would think that that ACJC is a drug war agency not one dedicated to finding ways to improve criminal justice in Arizona. Aside from added references to border-related drugs and crime, ACJC’s current strategy statement largely echoes the same strategies and priorities set forth since its creation in 1987. Not only does ACJC – which depends almost exclusively on DOJ criminal justice assistance grants – regard criminal justice largely through the drug war prism, it has never substantially altered its drug war priorities. Among ACJC’s stated priorities, number one is using Byrne JAG grants to fund multi-jurisdictional, multi-agency drug task forces, like the Cochise County Border Alliance and the Pinal County Multi-Jurisdictional Narcotics Task Force. Coming in last, as usual, is the “final priority [to] support proven prevention and education programs that focus on substance abuse programs.” Funding for drug forensics, prosecution, and data management are middle-range ACJC priorities. Since 1987 ACJC, using JAG pass-through grants, has steadily expanded the number and reach of the state’s narcotics task forces – essentially units of undercover narcs – from four to sixteen. New injections of federal public safety and criminal justice assistance, largely through the American Recovery and Stimulus Act (ARRA) of 2009, have allowed state and local law enforcement and criminal justice agencies to keep to this traditional albeit failed strategy of drug-war directed criminal justice improvement. In 2009 ACJC received a $25.6 million in JAG ARRA funding to continue its same failed strategy. Excellent article. I find all the articles on this blog to be excellent.